The XpressV7LP-HE board is a low-profile PCIe add-in card engineered for low-latency, high performance network computing. 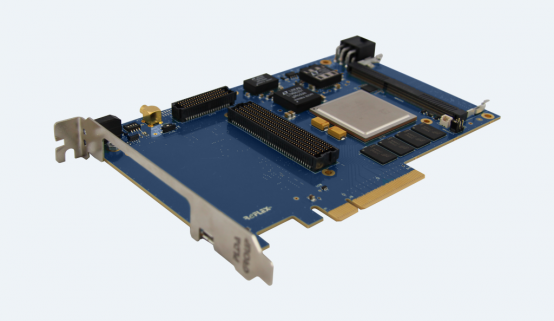 Based on a Xilinx Virtex-7 FPGA, the card features 50Gbit of direct-attached Ethernet connectivity, a PCIe Gen3 x8 host interface, and abundant memory resources including DDR3 SDRAM and QDR2+ SRAM. Logical: x1, x2, x4, x8 at Gen3, Gen2, Gen1 speed. 690T: 25W / 40W Typical / max.